Law Web: Whether arbitrator can be appointed if agree-ment/MoU containing arbitration clause is unstamped? Whether arbitrator can be appointed if agree-ment/MoU containing arbitration clause is unstamped? In view of the dictum of Supreme Court in SMS Tea Estates Pvt. Ltd. (MANU/SC/0836/2011 : 2011 AIR SCW 4484) (supra), the application under Section 11 of the Act of 1996 for seeking reference to the Arbitrator/appointment of the Arbitrator has to be held to be not maintainable if the agree-ment/MoU containing the arbitration clause is unstamped or not duly stamped. 1. Ansal Properties and Infrastructure Ltd., a company registered under Companies Act, 1956 has approached this court by way of the present application filed under Section 11 of the Arbitration and Conciliation Act, 1996, praying for appointment of the sole Arbitrator to adjudicate its dispute with the respondents. Applicant-company signed a Memorandum of Understanding (for short-'the MoU')/agreement with Chanda Ram s/o. Shri Bheru Ram on 31.8.2004. It was agreed therein that two bighas of land belonging to Chanda Ram of khasra No. 42/1 in village Nahari Ka Baas of Tehsil, Jaipur would be handed over to the applicant-company, which shall develop the same into a Township and in lieu thereof, a sum of Rs. 80,000/- was paid to said chanda Ram at the time of signing of the MoU. It was agreed that after development of the land, Chanda Ram would be given developed plot measuring 800 sq. yards per bigha of thus a total of 1600 sq. yards in all. Yet another MoU was executed with Chanda Ram and others abadi land and well on 23.5.2005. Chanda Ram has executed a General Power of Attorney in favour applicant-company for doing all these needful acts with regard to land, its development, sale etc. The land was converted for residential purpose by order of the District Collector, Jaipur dated 27.12.2005. The layout plan of the land was approved by Gram Panchayat Hatodh on 20.7.2007. The applicant-company levelled the land, demarcated the roads, completed the work of water, sewerage and electric lines etc. The applicant-company claimed to have allotted seven plots measuring 300 sq. yards to Chanda Ram by letter dated 19.4.2008. Land measuring 1600 sq. yards were allotted to Chanda Ram in respect of first MoU and 500 sq. yards to Chanda Ram and others in respect of second MoU. Chanda Ram and others submitted an application for allotting aforementioned seven plots to certain other persons indicated in the letter dated 21.4.2009. It is on that basis that the actual possession of the land was given to these seven persons on 6.10.2009. 2. That the dispute cropped up between the measuring parties in 2011 when Chanda Ram and others forcibly occupied the land. Chanda Ram died on 31.1.2012. It alleged that Chanda Ram's sons (respondents herein) illegally occupied the plot No. GH1 & GH2 7706 sq. mtrs. on 5.5.2012. A First Information Report was lodged by the company against them on 14.5.2012. It is then alleged that respondents illegally occupied six more plots measuring 918 sq. mtrs. and then three more plots measuring 306 sq. mtrs. belonging to the applicant-company. The applicant-company thereupon served on the respondents, a legal notice through their counsel for referring the matter for arbitration as per clause 27 of the MoU by suggesting the name of Shri Askaran Prajapat, retired District and Sessions Judge. The respondents through their counsel sent reply dated 10.8.2015 alleging that they have already annulled the MoU/agreement on 13.10.2009 and that a notice dated 22.10.2011 was allegedly sent to the company's headquarter at New Delhi to this effect. 3. Shri R.C. Joshi, learned counsel for the applicant in the aforesaid facts prayed for appointment of sole arbitrator for resolving the dispute between the applicant-company with the respondents. 4. Shri R.C. Joshi, learned counsel for the applicant cited the judgment of Supreme Court in Communications Inc. v. Iol Broadband Limited MANU/SC/1833/2009 : (2010) 1 Supreme Court Cases 562 : (AIR 2010 SC (Supp) 271) and argued that therein the Supreme Court has held that arbitration clause in agreement need not be stamped and the similar argument was rejected. 5. Learned counsel relied on the Constitution Bench judgment of Supreme Court in SBP & Co. v. Patel Engineering Ltd. and another-MANU/SC/1787/2005 : (2005) 8 Supreme Court Cases 618 : (AIR 2006 SC 450) and argued that the Chief Justice or the designate while dealing with an application under Section 11(6) is bound to decide whether (i) he has jurisdiction, in the sense whether party making motion has approached the right High Court, (ii) there is a valid arbitration agreement in terms of Section 7, (iii) person before him with the request, is a party to the arbitration agreement and (iv) there is a dispute/live claim subsisting which is capable of being arbitrated upon. Except this, all other questions ought to be left for decision of the Arbitrator. 6. Relying on the judgment of Delhi High Court in N.I.I.T. Institute of Information Technology v. West Star Construction Pvt. Ltd. & another, Petition No. 244/2008 decided on 27/04/2009 (reported in MANU/DE/0485/2009 : 2009 (2) Arbi LR 535 (Del)), learned counsel argued that an arbitral agreement within the MoU/agreement to sale, even if an unregistered document, can be used as evidence for collateral purpose as provided in proviso to Section 49 of the Registration Act and is severable from the main contract. Learned counsel in this connection also relied on the judgment of Punjab and Haryana High Court in Usha Gupta v. Aerens Goldsouk International Limited dated 11/02/2013 in Arbitration Case No. 63/2012 decided with 4 other connected petitions. 7. Reliance is also placed on the judgment of Supreme Court in Today Homes and Infrastructure Private Limited v. Ludhiana Improvement Trust and another MANU/SC/0513/2013 : (2014) 5 Supreme Court Cases 68 : (2013 AIR SCW 3646) to argue that Section 16 (1)(a) of the Act presumes the existence of a valid arbitration clause and mandates the same to be treated as an agreement independent of the other terms of contract even when the main agreement is treated as nullified. Shri R.C. Joshi, learned counsel for the petitioner also relied on the judgment in Enercon (India) Limited and others v. Enercon Gmbh and another MANU/SC/0102/2014 : (2014) 5 Supreme Court Cases 1 : (AIR 2014 SC 3152) for the same proposition of law. 8. Relying on the judgment of Supreme Court in Timing Limited v. Commonwealth Games, 2010 Organising Committee MANU/SC/0516/2014 : (2014) 6 Supreme Court Cases 677 : (AIR 2014 SC 3723), learned counsel argued that Supreme Court in that case also held that since the arbitration clause in a contract is treated as an independent agreement, mere adjudication nullifying the underlying contract does not render arbitration clause invalid. The Courts are empowered to refer to the arbitration even if underlying contract is found to be void ab initio. 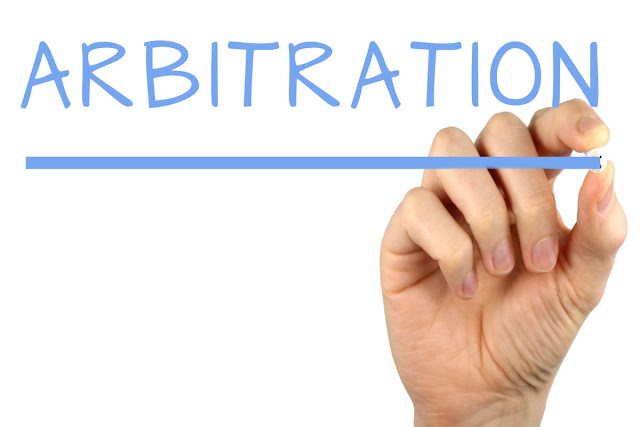 A conjoint reading of Section 5 and Section 16 would make it clear that all matters including the issue as to whether the main contract was void/voidable can be referred to arbitration. The question as to what would be the effect of MoU not being registered or not properly stamped are therefore liable to be decided by the Arbitrator, argued the learned counsel. 9. Learned counsel cited the judgment of Supreme Court in Ashapura Mine-chem Limited v. Gujarat Mineral Development Corporation MANU/SC/0467/2015 : (2015) 8 Supreme Court Cases 193 : (AIR 2015 SC (Supp) 1153) and argued that despite termination of MoU, the arbitration clause contained therein would still survive. 10. Reliance was also placed on the judgment of Supreme Court in Konkan Railway Corpn. Ltd. and others v. M/s. Mehul Construction Company MANU/SC/0523/2000 : AIR 2000 Supreme Court 2821 and it was argued that Parliament in our country enacted the Arbitration and Conciliation Act of 1996 adopting Uncitral Model. It would be appropriate to bear the said objective in mind while interpreting the provision of the Act. This Court while dealing with an application under Section 11 has to bear in mind the legislative intent that the arbitral process should be set in motion without any delay whatsoever and all contentious issues are left to be raised before the Arbitral Tribunal itself. Learned counsel also relied on the judgements in Sri Venkateswara Construction Company v. Union of India and others, Opposite Parties MANU/AP/0914/2001 : AIR 2001 Andhra Pradesh 284 and judgment of Supreme Court in Danial Latifi and another v. Union of India MANU/SC/0595/2001 : (2001) 7 Supreme Court Cases 740 : (AIR 2001 SC 3958). 11. Shri Vishnu Kumar, learned counsel for the respondents opposed the application and submitted that application be dismissed as it is based on two MoU, which are unregistered and executed on mere stamp paper of Rs. 100/-, which is deficient. The said MoU cannot be relied in view of Section 37 of the Rajasthan Stamp Act, 1998. Besides, no agreement exists between applicant and respondents in terms Section 7 of the Act because M/s. Ansal Township and Land Development Ltd., with whom the alleged MoU was entered by non-applicants, having been merged/amalgamated with M/s. Ansal Properties and Infrastructure Ltd. Applicant has no right to file the present application. In support of his arguments, learned counsel for the respondents has cited the judgment of Supreme Court in SMS Tea Estates Pvt. Ltd. v. Chandmari Tea Company Pvt. Ltd. MANU/SC/0836/2011 : (2011) 14 SCC 66 : (2011 AIR SCW 4484), the judgment of Supreme Court in M/s. Ansal Housing & Construction Ltd. v. State of Uttar Pradesh & Ors., MANU/SC/0344/2016 : 2016 (2) Supreme 517 and judgment of this Court in Nakoda Granite and Marmo Pvt. Ltd. v. Yogendra Singhvi MANU/RH/0470/2014 : AIR 2014 Raj, 91 and Aeren R. Entertainment Pvt. Ltd. v. National Engineering India Ltd., MANU/RH/0924/2013 : 2014 (2) WLN 546 (Raj.). 12. It is contended that according to Article 5(bb) of the Schedule appended to the Rajasthan Stamp Act, since the agreement relates to purchase and sell of immovable property, stamp duty @ 3% of the total consideration of the property as setforth in the agreement is required to be paid. Article 5(bb) of the Stamp Act provides that if the agreement relates to purchase or sale of an immovable property and possession is neither given nor agreed to be given, the same shall be rightly attracted because there is no stipulation in the agreement to sell with regard to handing over of the possession. It is also argued that if Article 5(bb) of the Stamp Act is not attracted then explanation appended to Article 21 of the Stamp Act Schedule would come into play according to which agreement to sell of an immovable property or an irrevocable power of attorney or any other instrument executed in the course of conveyance or lease, e.g. allotment letters, patta, licence etc. shall, in case of transfer of possession of such property before, at the time of or after the execution of any such instrument, be deemed to be a conveyance and the stamp duty thereon shall be chargeable accordingly. It is argued that in either case, where possession is given or agreed to be given or even when possession is neither given nor agreed to be given requisite stamp duty is required to be paid either as per provisions of Article 5(bb) of the Schedule to Stamp Act or Article 21 of the Schedule to the Stamp Act. If the agreement to sell is unstamped not sufficiently stamped, the same cannot be relied even for the purpose of application under Section 11 of the Act praying for appointment of an indent arbitrator. Reliance has been placed on the judgment of Supreme Court in Naina Thakkar v. Annapurna Builders MANU/SC/0709/2012 : (2013) 14 SCC 354. (bb) if relating to purchase or sale of an immovable property, when possession is neither given nor agreed to be given. Three per cent, of the total consideration of the property as set forth in the agreement memorandum of agreement: Provided that the stamp duty paid on such agreement shall at the time of execution of conveyance in pursuance of such agreement subsequently be adjusted towards the total amount of duty chargeable on the conveyance if such conveyance deed is executedwithin three years from the date of agreement. (i) if relating to immovable property; Eleven per cent, of the market value of the property. (ii) if relating to movable property; Half (0.5) per cent, of the market value of the property. (iii) if relating to the order under Section 394 of the Companies Act, 1956 (Act No. 1 of the 1956). if relating to the order under 394 of the Companies Act, 1956 (Central Act No. 1 of 1906) or section 44-A of the Banking Regulation Act, 1949 (Central Act No. 10 of 1049). Ten per cent, of the market value of the property. Provided that the provisions of section 51 shall be applicable mutatis mutandis to such agreement or power of attorney or instruments as are applicable to a conveyance. Provided further that the stamp duty already paid on such agreement or power of attorney or instrument shall at the time of the execution of a conveyance or lease in pursuance of such instruments subsequently, be adjusted towards the total amount of duty chargeable on the conveyance or lease. Explanation. (ii) For the purposes of clause (iii), the market value of the property shall be deemed to be the amount of total value of shares issued or allotted by Transferee Company, either in exchange or otherwise, and the amount of consideration, if any, paid for such amalgamation. 14. As would be seen from above, Entry 5(bb) of the Schedule appended to the Rajasthan Stamp Act, 1998 prescribes requisite stamp duty for an agreement to sell or a MoU relating to purchase or sale of any immovable property. Requisite stamp duty is 3% of the total value of the sale consideration as mentioned in the agreement or MoU, which is adjustable against execution of the sale deed for actual transfer of property, albeit the same is required to be done within three years from the date of execution of the MoU. 15. Section 37 of the Act provides that every person having by law or consent of parties authority to receive evidence and every person incharge of a public office, except an officer of a police, before whom any instrument, chargeable, in his opinion, with duty, is produced or comes in the performance of his functions, shall, if it appears to him that such instrument is not duly stamped, impound the same. Section 39 of the Rajasthan Stamp Act, 1998 provides that no instrument chargeable with duty under the said Act of 1998, unless being duly stamped, shall be admitted in evidence for any purpose by any person having by law or consent of parties authority to receive evidence or shall be acted upon, registered or authenticated by any such person or by any public officer unless such instrument is duly stamped. "(i) Whether an arbitration agreement contained in an unregistered (but compulsorily registrable) instrument is valid and enforceable? (ii) Whether an arbitration agreement in an unregistered instrument which is not duly stamped, is valid and enforceable? (iii) Whether there is an arbitration agreement between the appellant and respondent and whether an Arbitrator should be appointed?" 17. On question No. (i), it was held that when a contract contains an arbitration agreement, it is a collateral term relating to the resolution of disputes, unrelated to the performance of the contract. It is as if two contracts --one in regard to the substantive terms of the main contract and the other relating to resolution of disputes --had been rolled into one, for purposes of convenience. An arbitration clause is therefore an agreement independent of the other terms of the contract or the instrument. Resultantly, even if the contract or its performance is terminated or comes to an end on account of repudiation, frustration or breach of contract, the arbitration agreement resolution instrument affecting would survive for the purpose of of disputes arising under or in connection with the contract. Similarly, when an or deed of transfer (or a document immovable property) contains an arbitration agreement, it is a collateral term relating to resolution of disputes, unrelated to the transfer or transaction affecting the immovable property. It is as if two documents -- one affecting the immovable property requiring registration and the other relating to resolution of disputes which is not compulsorily registrable are rolled into a single instrument. If a deed of transfer of immovable property is challenged as not valid or enforceable, the arbitration agreement would remain unaffected for the purpose of resolution of disputes arising with reference to the deed of transfer. Therefore having regard to the proviso to Section 49 of Registration Act read with Section 16(1)(a) of the Act, an arbitration agreement in an unregistered but compulsorily registrable document can be acted upon and enforced for the purpose of dispute resolution by arbitration, held the Supreme Court in answer to question No. (i) posed. 18. Dealing with question No. (ii) whether an registered arbitration agreement is a document compulsorily required to be stamped, which is unregistered and/or which is not duly stamped, is or enforceable, the Supreme Court in SMS Tea Estates Pvt. Ltd. (MANU/SC/0836/2011 : 2011 AIR SCW 4484) (supra) analysed the provisions of Sections 33 and 35 of the Stamp Act, 1899, which are substantially in pari materia with Sections 37 and 39 of the Rajasthan Stamp Act, 1998 respectively. The Supreme Court therefore held that when a lease deed or any other instrument is relied upon as containing the arbitration agreement, the court should consider at the outset, whether an objection in that behalf is raised or not, whether the document is properly stamped. If it comes to the conclusion that it is not properly stamped, it should be impounded and dealt with in the manner specified in Section 38 of the Stamp Act. The court cannot act upon such a document or the arbitration clause therein. But if the deficit duty and penalty is paid in the manner set out in Section 35 or Section 40 of the Stamp Act, the document can be acted upon or admitted in evidence. 19. While dealing with question No. (iii) whether there is an arbitration agreement between the appellant and respondent and whether an Arbitrator should be appointed, the Supreme Court held that the lease deed was for a term of thirty years was unregistered, the terms of such a deed cannot be relied upon to claim or enforce any right or in respect of such lease. It can be relied upon for the limited purposes of showing that the possession of the lessee is lawful possession or as evidence of some collateral transaction. Even if an arbitrator is appointed, he cannot rely upon or enforce any term of the unregistered lease deed. Where the arbitration agreement is not wide and does not provide for arbitration in regard to all and whatsoever disputes, but provides only for settlement of disputes and differences arising in relation to the lease deed, the arbitration clause though available in theory is of little practical assistance, as it cannot be used for deciding any dispute or difference with reference to the unregistered deed, held the Supreme Court. 20. This Court in Nakoda Granite and Marmo Pvt. however, Ltd. (MANU/RH/0470/2014 : AIR 2014 Raj 91) (supra) was dealing with a case where the lease deed registered on non-judicial stamp of Rs. 100/- was held to be not sufficiently stamped for invoking arbitration clause. Relying on the judgment of Apex Court in SMS Tea Estates Pvt. Ltd. (MANU/SC/0836/2011 : 2011 AIR SCW 4484) (supra), this Court dismissed the application under Section 11 of the Act seeking reference to the Arbitration, however, with liberty to the applicant to move afresh after getting the instruction in question duly stamped. 21. This Court in Aeren R. Entertainment Pvt. Ltd. (MANU/RH/0924/2013 : 2014 (2) WLN 546) (supra) was dealing with application under Section 11 of the Arbitration and Conciliation Act for appointment of the Arbitrator, an objection was raised by the non-applicant that the agreement to sale has been executed on a stamp of Rs. 100/- only and, is therefore, insufficiently stamped and inadmissible in evidence as per Section 3 read with Article 5 of the Schedule appended to the Stamp Act, 1899. Such agreement, therefore, cannot be acted upon under Section 35 of the Indian Stamp Act, 1889. Reliance was placed on Article 5(bb) of the Schedule to the Rajasthan Stamp Act, according to which stamp duty at the rate of 3% of the total consideration of the property as set forth in the agreement was payable. Relying on the judgment of the Supreme Court in Naina Thhakar (supra) and on considering the provisions of Section definition of conveyance contained in Sections 2(xi), 3, 18(1), 37 and 39 and Articles 5(bb), 5(c) and 21 of the Schedule to the Rajasthan Stamp Act, it was held that conduct of the parties is to be seen and the Court is not to wait indefinitely for cure of defect of stamp duty and thus when the agreement to being not sufficiently stamped, the arbitration application is not maintainable under Section 11 of the Act. Although additionally in the aforesaid judgment, this Court held the arbitration clause itself in the agreement also illegal on account of pendency of civiling proceedings. The aforesaid judgment was challenged before the Supreme Court in Civil Appeal No. 6977/2016. The Supreme Court on being informed that Collector (Stamps) has passed the order with regard to inadequate stamp on the agreement, which has been assailed in the revision. As far as proceedings under the Rajasthan Imposition of Ceiling on Agriculture Holdings Act, 1973 is concerned, separate litigation with regard thereof was pending. The Supreme Court therefore held that if the appellant stands cleared of those proceedings, it will be entitled to file a fresh application under Section 11 of the Act of 1996. The Supreme court further held that the High Court should not have declared the agreement void as it was subject to paying adequate stamp duty under the Stamp Act and also getting cleared of the proceedings initiated under the Ceiling Act. "6. In the light of above legal position, when we look at the facts of the present case, we find that while pressing the application under Section 8 of the Act, the petitioner did not show any inclination to pay the deficit stamp duty on the lease deed dated 19.12.2005 nor expressed her desire that she was willing to pay the penalty as may be imposed by the Collector if the document was impounded and stamp duty payable thereon was determined." 23. In view of the dictum of Supreme Court in SMS Tea Estates Pvt. Ltd. (MANU/SC/0836/2011 : 2011 AIR SCW 4484) (supra), the application under Section 11 of the Act of 1996 for seeking reference to the Arbitrator/appointment of the Arbitrator has to be held to be not maintainable if the agree-ment/MoU containing the arbitration clause is unstamped or not duly stamped. Similar view has also been expressed by the Karnataka High Court in Satyam Cineplexes Ltd. v. Patel Realty India Ltd. Bellona Estate Developers Ltd., MANU/KA/1216/2013 : 2013 (4) AKR 432, Madras High Court in Karismaa MEP Services Pvt. Ltd. v. KGS Milestone Constructions Ltd., MANU/TN/2671/2015 : 2015 (7) MLJ 15 : (AIR 2015 (NOC) 1289 (Mad)). Similar view has been taken by Delhi High Court in Avantha Holding Limited v. M/s. Osian's Connoisseurs of ART (P) Ltd. & Anr., O.M.P. No. 266/2011 decided on 11.04.2012 and Bombay High Court in Jayraj Devidas v. Nilesh Shantilal Tank, Arbitration Appeal No. 45/2013 decided on 22.8.2014 (reported in 2014 (5) AIR Bom R 611) in regard to maintainability of application under Section 9 of the Act of 1996. "25. Section 35 of the Act, however, rules out applicability of such provision as it is categorically provided therein that a document of this nature shall not be admitted for any purpose whatsoever. If all purposes for which the document is sought to be brought in evidence are excluded, we fail to see any reason as to how the document would be admissible for collateral purposes. "That the words 'for any purpose' in Section 35 of the Stamp Act should be given their natural meaning and effect and would include a collateral purpose and that an unstamped partition deed cannot be used to corroborate the oral evidence for the purpose of determining even the factum of partition as distinct from its terms." The said decision has been followed in a large number of decisions by the said Court." 25. The judgment of Supreme Court in Ashapura Mine-Chem Ltd. (MANU/SC/0467/2015 : AIR 2015 SC (Supp) 1153) (supra) relied on behalf of the applicant does not throw any light on the question with which we are concerned in the present case. Another judgment of Supreme Court in Sanghi Brothers (MANU/SC/8097/2008 : AIR 2009 SC 9) (supra) also does not deal with the stamped arbitration appointment judgment question whether any unstamped or insufficiently agreement/MoU for sale containing clause can be acted upon for of the Arbitrator inasmuch as this was rendered by a single Judge of the Supreme Court as nominee of the Chief Justice and has not noticed the Division Bench decision of Supreme Court in SMS Tea Estates Pvt. Ltd. (MANU/SC/0836/2011 : 2011 AIR SCW 4484) (supra). 26. Contention that the question as to insufficiency of stamp duty in view of Section 16 of the Act should be left to be decided by the Arbitrator cannot be countenanced and has to be rejected in view of clear law laid down by the Supreme Court in SMS Tea Estates Pvt. Ltd. (supra) which mandates that such a issue has to be decided in the application under Section 11 of me Act itself. The Supreme Court in Javer Chand & Ors. v. Pukhraj Surana MANU/SC/0036/1961 : 1965 AIR (SC) 1655 observed that where a question as to the admissibility of a document is raised on the ground that it has not been stamped, or has not been properly stamped, it has to be decided then and there when the document is tendered in evidence. 27. In view of the analysis of the law made above, this application is liable to be dismissed with liberty however to the applicant to file a fresh application for appointment of Arbitrator as and when it makes payment of stamp duty payable as per law. The arbitration application is accordingly dismissed. Whether accused can be convicted for dishonour of time barred undated cheque? Whether litigant can seek transfer of case on the ground that Judge is convicting judge?